Autograph City were UACC (Universal Autograph Collectors Club) Registered Dealer 273. Due to an issue with a renewal fee reminder not being received, our status lapsed. We are re-applying to the program and given our previous unblemished record are hopeful of being readmitted. In the meantime, we confirm we are happy and proud to continue to comply with a stringent Code of Ethics. We will still apply the Code to all the items that we sell. Regardless of whether you buy an autographs or an animation cel it will come with a lifetime guarantee of authenticity. We must point out that we have never had any problems with the authenticity of any of our items and we have therefore never had a "Disputed Transaction". Nevertheless, the existence of the Code, together with our affiliation to the UACC should give you, the buyer, added peace of mind and security. All members of the Universal Autograph Collectors Club (UACC) without exception upon acceptance of their application and applicable dues whether new or renewed are required to accept and agree to the club's Code of Ethics. Acceptance is a requirement of membership in the UACC and any of its chapters. Adoped by the UACC Executive Board on June 6, 1998 at the annual board meeting in New York City. 1. UACC members are required to abide by all Federal, state and local laws and regulations related to the purchase, sale or other related transactions concerned with the securing of autographs or autograph related items. 2.Transactions between members are to be conducted in accordance with the Code of Ethics. 3. Members on both sides of a disputed transaction brought before the Ethics Board are required to abide by the Boards decisions. 4. Members agree not to knowingly purchase or sell any autographs or related items whose ownership is in doubt. Further, members are to report any information concerning suspected or known stolen autographs or related material to proper legal authorities. The seller is to pass on to the buyer clear title to all material sold. 5. Members are to fulfill any and all terms, oral or written , of any contract or agreement to purchase, sell or exchange autographs or related items, unless prompt and timely notice otherwise is given to the other party. Transactions and special terms and conditions of sale must be evidenced by written documentation. Any transaction not documented to be "as-is" will be deemed to be a sale of authentic autographic or related material. 6. Members agree not to knowingly sell, exchange or advertise for sale any autographed or related material which is forged or where the signature is a mechanical reproduction or is otherwise not genuine; or any autographed or related material which has been altered, repaired or otherwise altered from its original state, unless such state and or condition is clearly and expressly stated and described. 7.Transactions between members are required to have receipts or invoices issued upon request from either party, for the sale or exchange of any autographed or related item. The receipt or invoice will state clearly a basic description of the item(s), the purchaser, the seller, and the prices, terms or any other relevant information. 8. 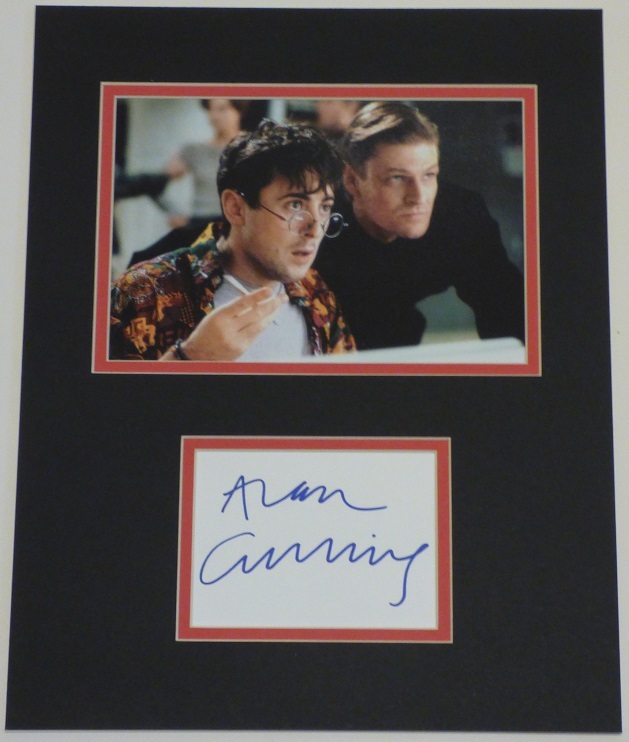 The seller is required to state the terms in which he or she sells autographs or related material in a clear manner which includes a reasonable right to return items and a guarantee of full refund on returned material. 9. Sellers are required to advertise for sale only those items which are available at the time of such advertisement and will honor all prices published for a reasonable time after their publication. 10. Persons involved in consignments of autographs or related material are to have a written agreement involving all aspects of the sale of the material as well as payment to the consignor. The seller must agree not to alter any of the material he is handling on a consignment basis without written approval from the consignor. 11. Members are required to refund the full purchase price of any autographed or related item at any time where lack of authenticity can be proven and where proof of purchase is supplied; however, requests for an extension of time to return purchased or exchanged autographs or related material shall not be viewed as an acceptable reason for delay of payment for said material beyond the agreed-upon terms of the transaction. This rule does not apply to "as-is" (as seen) material which has been properly documented under article (5) five. 12. Members are responsible for items sent to them for examination for possible purchase while they are in the members possession. The sender is to supply a complete listing of all items included in the package. Should an offer to purchase prove to be unacceptable, the merchandise must be returned to the owner in the same or better manner than it was shipped. 13. Members are to provide the UACC their corporate or assumed names, as well and the names of the principals involved in businesses and full street address. 14. Members are to make every effort to prevent the theft of autographic material or its distribution.. Members shall cooperate with the law enforcement authorities and the UACC Ethics Board in an effort to recover and return the stolen materials and apprehend and prosecute those responsible for the theft, including but not limited to, providing the names of the parties involved. 15. The UACC will not tolerate knowingly false and or frivolous charges being brought against one of its members. Such action could result in sanctions against the complainant.